Sakura flower, Sakura leaf, Yuzu peel, Sencha tea (green tea), Gyokuro tea (refined green tea) and Sanshō pepper. 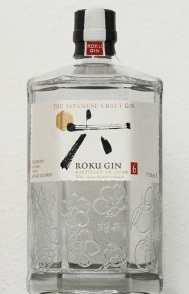 Six Japanese botanicals cultivated over four seasons, the six Japanese botanicals have been carefully selected to create ROKU, Japan's authentic craft gin. Each botanical has been harvested at the peak of its season to extract the best flavour, and distilled to fully embody the blessings of nature. The harvest of the four seasons has been blended to create ROKU's balanced flavour.